The idea to create the Europe–Far East Gallery had two sources. On the one hand, it was a natural consequence of the nature of the Manggha Museum of Japanese Art and Technology, whose Statutes presuppose, in addition to museum functions, the postulates of educational activity and disseminating the art, culture and technology of the countries of the broadly defined Far East. The Museum was not, however, able to implement them fully. According to the Statutes, the objects of the Museum include ‘gathering artworks, artefacts and documentation materials of the old and modern art, culture and technology of the Far East’; nevertheless, the activities conducted in the existing building concentrated on phenomena relating to the culture of Japan. The need for more space, required to develop other Far Eastern interests, gave an impulse to work on formulating the conceptual framework of the gallery, conceived as a space for dialogue, fostering openness to the multiplicity and diversity of Asian cultures, and the furtherance of the ties between Europe and Asia in all of their complexity. On the other hand, the project is the outcome of Europe’s growing interest in the culture and technology of Far Eastern nations other than Japan, which is also connected with the dynamic economic growth of Asian countries, and the changing geopolitical situation, in which they play a key role. The lack of separate space, autonomous from the existing building, rendered it impossible to respond to the interest and need for information while, in the light of the global development trends, intercultural Euro-Asian education is becoming an increasingly important component of individuals’ professional and social competencies and the competitive edge of research and academic institutions, as well as businesses. In response to these needs, in 2005, and subsequently in 2008, the Minister of Culture and National Heritage issued decisions to acquire sites from private owners, located in the immediate vicinity of the Museum’s existing building at ul. Marii Konopnickiej in Krakow, with a view to constructing a new gallery of Far Eastern art. The detailed design and construction drawings were completed in 2007. In November 2012, an agreement was signed to secure additional funding for the project from the Infrastructure and Environment Operational Programme, and construction work began in January 2014. The opening of the Gallery is scheduled for 2015. On 18 June, the cornerstone was laid for the Europe–Far East Gallery. 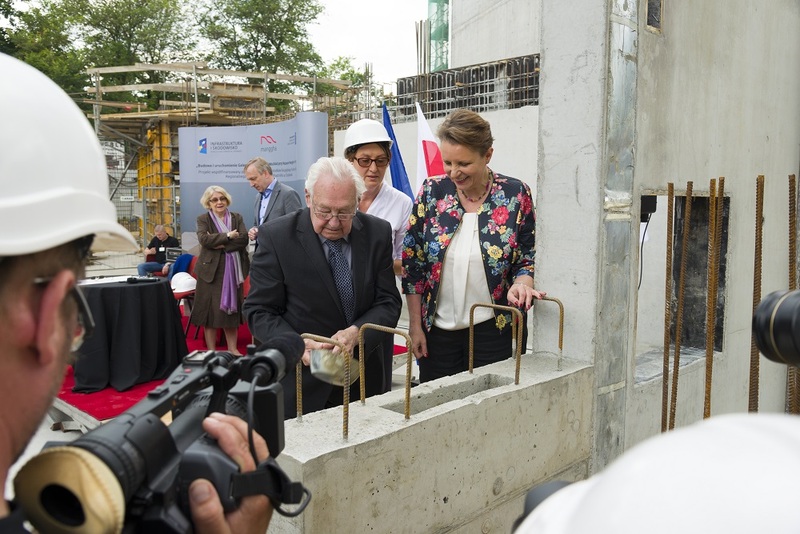 The ceremony was attended by Małgorzata Omilanowska, Minister of Culture and National Heritage, and by her predecessor, Bogdan Zdrojewski, as well as the Founders of the Manggha Museum, Andrzej Wajda and Krystyna Zachwatowicz. In January 2014 the General Contractor’s contract for the Europe-Far East Gallery was concluded with Przedsiębiorstwo Budownictwa Przemysłowego "Chemobudowa – Kraków"
Since February 2013, the Contract Engineer has been Portico Project Management. 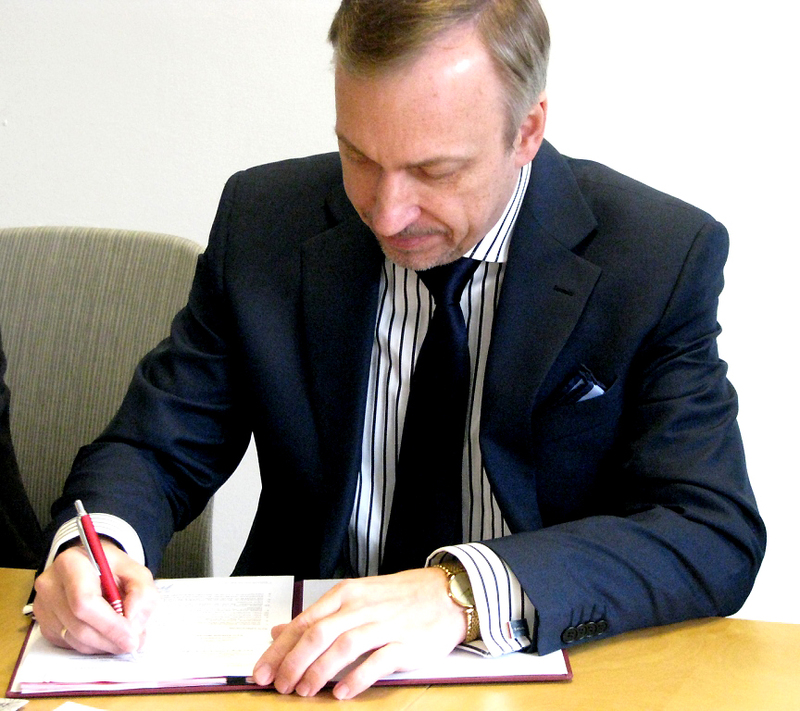 In November 2012 Bogdan Zdrojewski, the Polish Minister of Culture and National Heritage and Bogna Dzichciaruk-Maj, the Manager of the Manggha Museum signed the subsidy agreement within the framework of the Operational Programme Infrastructure and Environment.